Free Xo / Sos Manager Notification Interface!!! 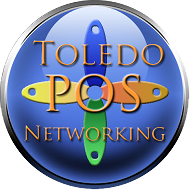 From assessing your business' needs to recommending and installing the right solutions, to training on how to get the most out of your POS investment, Toledo POS and Networking is your partner in growing your profits. Call us toll free at 1.866.202.4323 for a free assessment and consultation and find out if Toledo POS and Networking is the right partner for you!